Trinnov Audio is a team of engineers who are Passionate about audio quality. They focus on developing innovative solutions that improve the Quality of Sound throughout the production chain, all the way to the end listener. Their extensive Research has led to five international patents in the field of Acoustic processing. Trinnov have been in the forefront of Acoustic research since the early 2000s and originally focussed on production processors. In 2010 they turned their attention to multi-channel cinema systems, aiming to produce ultra-high performance cinema processors. Their current range of Altitude32 processors aim to be the best processors in the world, with units from 8 to 32 channels available. 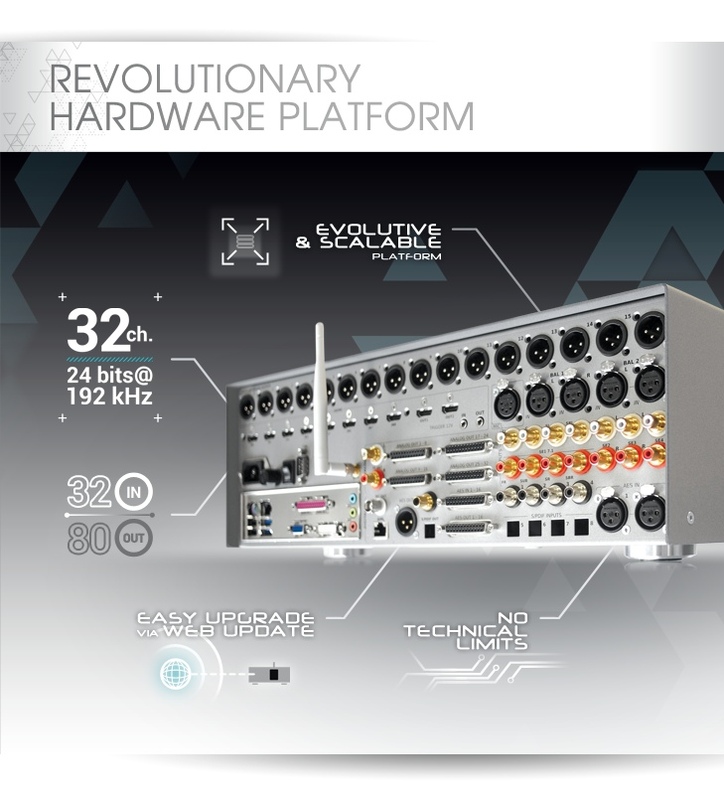 Their processor uses a software centric system allowing for dynamic updates for the widest possible flexibility, able to decode the vast bulk of multi-channel object oriented sound formats including Dolby Atmos, DTS-X and Auro 3D. They are the only audio processor manufacturer to not use 3rd party DSP processors to support object oriented 3D sound formats. The system adjusts for the real-life positions of speakers, as well as compensating for room resonances. It bridges the speaker layout differences between Auro 3D and Dolby Atmos, allowing for remapping of up to 32 separate speaker channels, to accurately take into account the real-world position of the speakers. Processing is done natively in 24 bits and up to 192KHz sample rate, allowing for the highest possible sound quality to be reproduced.